In our own era, when the influence of the environmental movement is enormous, it is difficult to find anyone who has not heard the name John Muir. Places are named after him, books are written about him, and he is, in the eyes of many, the patron saint of natural resources conservation. People usually think of Muir as the man who camped near pristine lakes, climbed granite peaks, and tied himself to treetops during storms, the better to experience the full force of nature. Some who have read about Muir may also know that he spent several years of his life not as an outdoorsman but as a rancher and farmer on property where he and his wife lived north of San Francisco in Martinez. But most people are not aware that Muir was a skilled user of big-city strategies to achieve his purposes. His exploitation of newspapers and magazines showed the pattern. By the late nineteenth century, print media — as we would call them today — were playing a very large role in American society. Ever since the late eighteenth century, when they gave special protections to the press in the Bill of Rights, Americans had appreciated the importance of print communication for fostering democratic values. By the late nineteenth century, with growth of population and industrialization of printing, the influence of the press was vast and widely appreciated. It was a presence in political campaigns and social crusades, and a widely used vehicle for commercial advertising, almost as much as it is today. Any alert observer would have sensed its power. The late-nineteenth century expansion of the press coincided with the growing influence, during the same period, of Americans anxious to save natural areas, especially in the West, not only for their recreational potential and their symbolism as monuments to match Europe’s treasures of human history, but also as sources of spiritual renewal. Muir not only explored many of the wilderness areas, but also was a leader in using the communications tools of his era to publicize their importance. In his seminal book, Wilderness and the American Mind(1982), the UC Santa Barbara historian Roderick Nash goes so far as to assign Muir pride of place in this activity. “As a publicizer of the American wilderness Muir had no equal,” Nash has written. It is interesting to chart how Muir came to play this role. Muir grew up in Scotland where his father taught him a strict Calvinism and required him to memorize all of the Old Testament and most of the New. In 1849, when John was eleven years old, the family moved to a homestead on the Wisconsin frontier, where Indians still lived and the land was heavily forested. In the wild nature of the area, Muir found relief from the hard labor of farm life and the family’s religious strictness. A route out of farm life opened in 1860 when John garnered wide praise for several mechanical inventions he displayed at the State Agricultural Fair In Madison. He received several job offers but ultimately decided to enroll at the University of Wisconsin where he studied geology, botany and the writings of Emerson, Thoreau and other Transcendentalists. He spent two and one half years at the University and then in 1867 took a job at a carriage factory in Indianapolis. Here he suffered an eye injury which caused him to lose all sight for a month. When his sight returned he felt an urgency to use it to do what he realized he most wanted to do, which was to view and contemplate the meaning of nature. His first foray was a hiking journey of a thousand miles from Indiana to the Gulf of Mexico. Muir’s journal of the trip recorded ideas that were to become basic for him, regarding the beauty and power of nature and the ways that direct encounter with it helped one to sense divine beauty and the essential harmony of creation. Muir planned to go further south, to the Amazon, but after an attack of malaria he decided to seek out colder regions and took a ship to San Francisco, arriving there in 1868. Instead of stopping to explore the city, however, he immediately crossed the Bay and, after a time in the San Joaquin Valley, went north into the Sierra Nevada mountains, where he hiked extensively and spent several winters in Yosemite Valley. Coincidentally, one of the visitors to Yosemite around this time was Ralph Waldo Emerson. He and Muir introduced themselves to each other there in 1871. Emerson, by this time very much the Eastern cosmopolite, was not as attracted to rugged encounters with nature as Muir was, preferring to stay at a hotel. But he and Muir shared a strong belief in the importance of contemplating nature; and their meeting encouraged Muir to continue writing down his thoughts about the landscape, and also gave Muir an important link to publishers. When, exactly, Muir decided to be a publicist may not be discoverable. We do know that he began to write and lecture to spread his ideas in the 1870s, taking the position that public ownership was the most effective way of preserving wilderness areas deserving protection. An early – perhaps the earliest – example of his advocacy in print was “God’s First Temples: How Shall We preserve our Forests?” which appeared in the February 4, 1876, issue of the Sacramento Record-Union. Muir’s print activity occurred in tandem with other kinds of persuasion. In 1881, for example, he lobbied Congress unsuccessfully to establish a national park on the model of Yellowstone in the King’s River area in the southern Sierra. In 1888 he campaigned for preservation of the Mt. Shasta area in northern California as a public park. In 1889, Muir was approached by Robert Underwood Johnson, the associate editor of the Century magazine, which was at that time the most influential monthly review of literature in the United States. Johnson was in San Francisco on a tour of the west to find new possibilities for articles. There, he and Muir agreed to undertake some form of collaboration. Their first joint venture was a trip that same year in the areas around Yosemite valley. 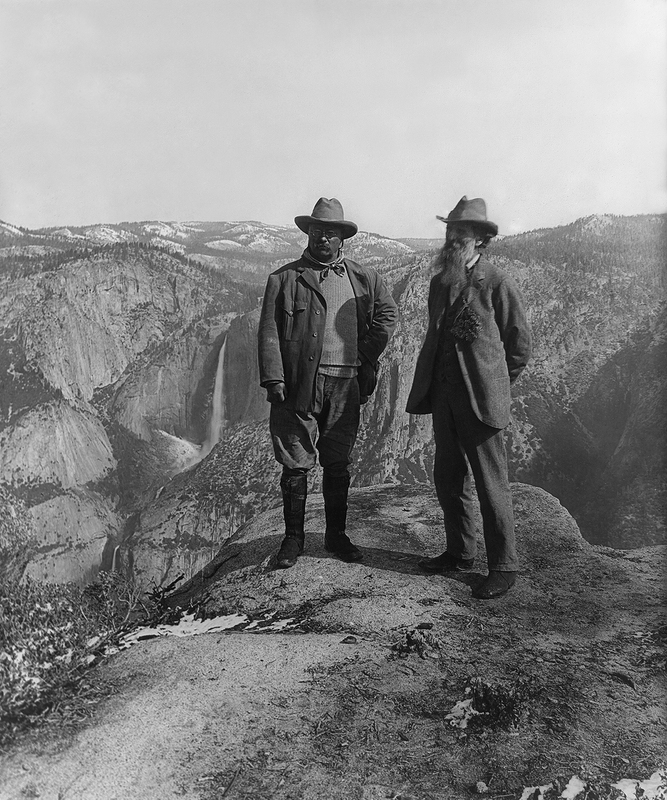 Deeply moved by the experience, and impressed with the need for action to protect the area, Johnson asked Muir to write two articles for Century advocating creation of a national park at Yosemite and similar enclaves elsewhere in the West. Muir’s two articles appeared in the magazine in the fall of 1890, along with extensive illustrations. Ever the enthusiast, Muir predicted that the articles would attract an audience of over a million readers. This seems an exaggeration, even if one allows for hand to hand sharing. But the articles probably did reach at least 200,000 readers, which was the circulation figure for the magazine at the time. All the same, publicity on this scale was a great step forward for the cause of preservation on spiritual and scientific grounds rather than for managed exploitation of natural resources or mere recreation. Johnson followed up Muir’s articles with one of his own later in 1890, in support of the idea of national parks in general. Johnson also lobbied Congress for protection of Yosemite. He may have been aided by the Southern Pacific Railroad, which saw the potential of increased tourism. In September 1890, as a result of all these efforts, Congress passed and President Benjamin Harrison signed a bill creating Yosemite National Park, the first park specifically intended to protect wilderness. Muir and Johnson knew that vigilance and further activity would be needed, both to protect Yosemite against interests who might still attempt to encroach upon it, and to further build support for the concept of wilderness preservation. For these reasons they banded together with faculty members from the University of California and the recently created Stanford University, as well as members of the business and professional communities, to form an association that would help to further the goals systematically. The association took its inspiration from mountaineering clubs that had become popular by this time elsewhere, mostly in the eastern United States and Europe. 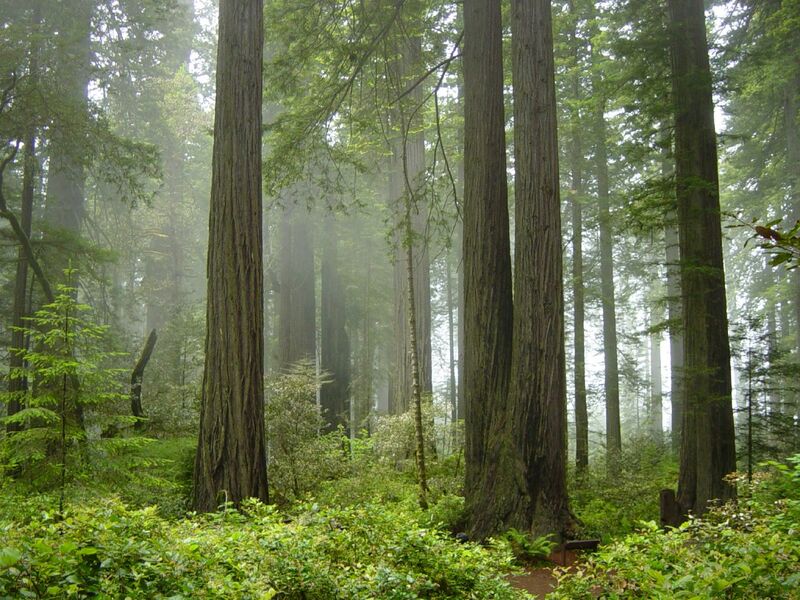 In June 1892, in the offices of the San Francisco attorney Warren Olney, twenty-seven men formed the Sierra Club. Muir was unanimously elected as the first President (an office he held for the next twenty-two years until his death). During the 1890s Muir also undertook publicity on other fronts. In 1891 he published an article in Century calling for establishment of a national park in the King’s Canyon area of the Sierras. His preference for preserving the area strictly as a wilderness lost out to the views of others who advocated that the area be protected as a forest to be exploited according to concepts of managed use. And in 1895 Muir even acknowledged that not all forests could be retained simply as wild areas, joining with others in an article in Century on best practices in forest management. But in 1897 Muir partly returned to his purist position in an article he wrote for Walter Hines Page , the editor of the Atlantic Monthly, in which he allowed for the possibility of managed use but warned that the dangers of over-exploitation were great because of economic pressures and greed. Muir contributed a similar article in 1897 to Harper’s Weekly. Additional employment of print took place in late 1897 in Seattle. There Muir met with Gifford Pinchot, the already nationally famous leader in the movement to conserve forests and other environments according to principles of managed use. The two had crossed paths in earlier years but both were by now more hardened in their attitudes. Pinchot allowed himself to be quoted in Seattle newspapers as strongly in favor of his and not Muir’s philosophy. Thereafter, Muir and Pinchot had an animated discussion in a hotel lobby and broke off further contact. Muir elaborated his disagreements with Pinchot in an article he wrote for the January 1898 issue of the Atlantic Monthly. Muir’s activities as a master publicist continued into the twentieth century. An important encounter occurred in 1903 when Muir postponed a scheduled world tour in order to meet with President Theodore Roosevelt, who had invited Muir to join him for a trip through the Yosemite area. The two greatly enjoyed each other, even though Muir did not share Roosevelt’s love of hunting and even though the President’s views of conservation were closer to Pinchot’s. In response to Muir’s advocacy, Roosevelt’s followed up their trip with important actions. 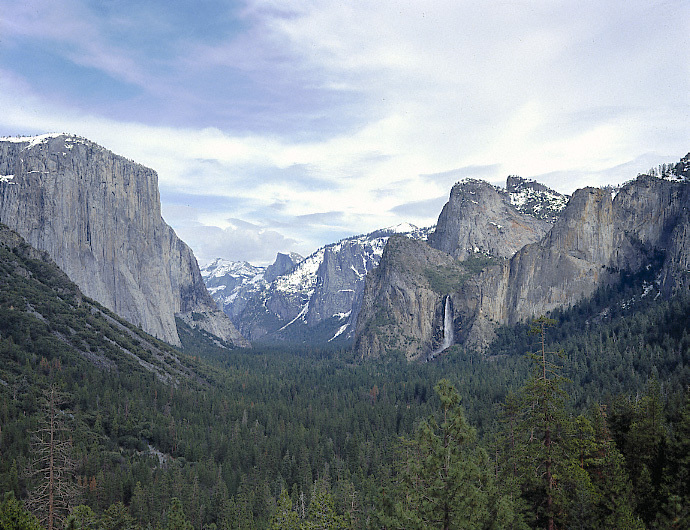 In 1906 the President signed a bill in which California ceded the Yosemite Valley to the federal government and included it in the already existing national park. And in 1908 Roosevelt designated the Grand Canyon area as a national monument, giving it the protection that Muir had been advocating for several years. In the early twentieth century, Muir engaged in his last great battle as a publicist when he led the struggle to prevent the Hetch Hetchy valley from being dammed as a reservoir for the city of San Francisco. The battle was lost, becoming Muir’s only major failure as a promoter of wilderness. Muir did indeed tie himself to trees in storms and hike alone in the wild. But he also knew how to use the tools of the big city. That may in fact be the main reason we remember him today.